It's funny because, although I am a creature of habit through and through, I just cannot stick to one foundation. Every time I finish a bottle, I try a different brand and this time I decided to head in the direction of NARS. I'm a matte girl so wanted Sheer Matte but, when I couldn't find my shade available (details here of how I matched my shade online), I settled on All Day Luminous Weightless Foundation instead, on the basis that reviews said it was super matte, despite the name. First of all, the packaging is gorgeous. A frosted glass bottle, with a secure plastic lid and a pump applicator. Having never tried a NARS foundation before, I didn't appreciate how big a deal this was but it turns out that most come without an applicator, so this is a huge bonus. It's perhaps a little heavy, being glass and all, but it does feel very stable and looks lovely on my dressing table too. NARS suggest that one pump will cover the whole face, which is definitely not the case. Shaking the bottle well before pumping the applicator, the foundation comes out extremely fluid, almost like water. The recommend that you use your fingers to warm it up and create a creamy consistency but, because I'm a rebel, I use a brush. NARS Mont Blanc is the far right. Centre is Benefit Pure 4 Sure and left is MAC NW15. On application, the foundation dries very quickly so speed is essential, and I prefer to use a wide brush as I can buff it in much more effectively. That one pump covers perhaps a half of the face, but it's very light and buildable. Once applied, as previous reviews have stated, it is extremely matte. As I said, I'm all for a matte appearance but the problem with this one is that it clings to dry patches. I know you've got to expect some dryness with a matte base but this is extreme and very frustrating. However, that aside, it's very even and lightweight. Even when I build it up to more coverage, it still gives the illustion of being extremely sheer and this particular shade gives me a lovely porcelain apperance. 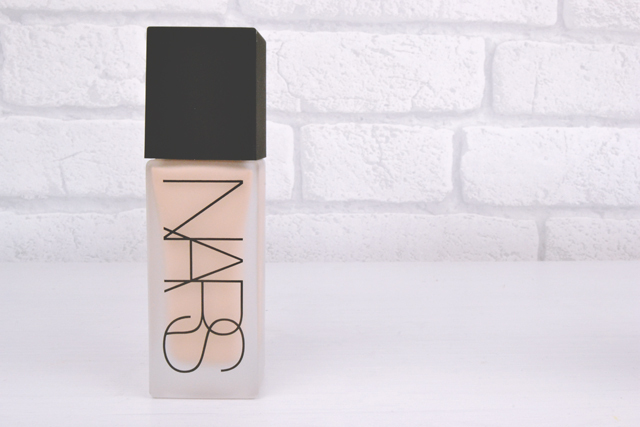 NARS claim that this foundation lasts 16 hours which, while a litle optimistic, is not far off. It certainly does last hours and feels great on my skin throughout the day. All in all, this is a great little foundation but I am so let down by how much it accentuates dry patches that I didn't even know I had! I'll be experimenting with different techniques to eliminate the appearance but I think it's safe to say I won't be repurchasing. I'm already considering my next option! I really love this foundation for my skin type (I don't have any dry patches), but I cannot deal with how messy the pump gets! Drives me crazy having to clean it after every use. Thank you for this review! I had this in my shopping basket as we speak, but I suffer from very dry skin and felt I couldn't find an honest review anywhere! 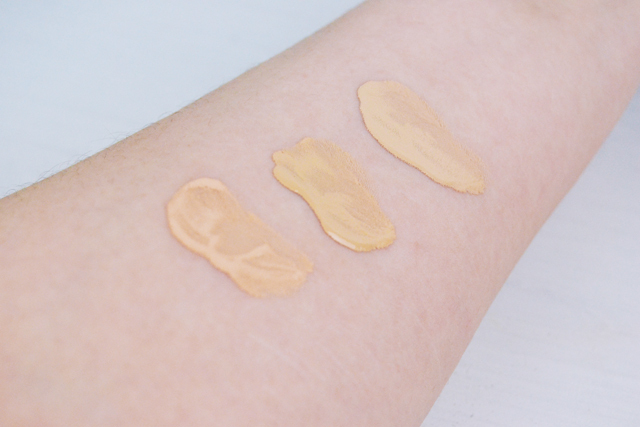 as a lover of a sheer glow i was really excited about this foundation and got it when it first came out, the disappointment was a big blow, it made my skin look awful, patchy, it clung to bits i didn't even know where a problem. I might try another application technique but i think it will be finding its way into my ‘to sell pile’ shortly. Thank you for a review of this! I have sensitive skin that can be extremely dry one day and oily the next so this is probably one of those foundations that I would save for the odd day that my skin is normal haha :') The bottle looks so pretty though, Im tempted to buy it just for decoration purposes!